WISMEC WT Replacement Coil Head is designed for KAGE atomizer. It comes with 0.4ohm and 0.17ohm for your selection. 5 pcs each pack. Get them as spare parts! WISMEC WT Replacement Coil Head is designed for KAGE atomizer and EXO Skeleton ES300 Kit. 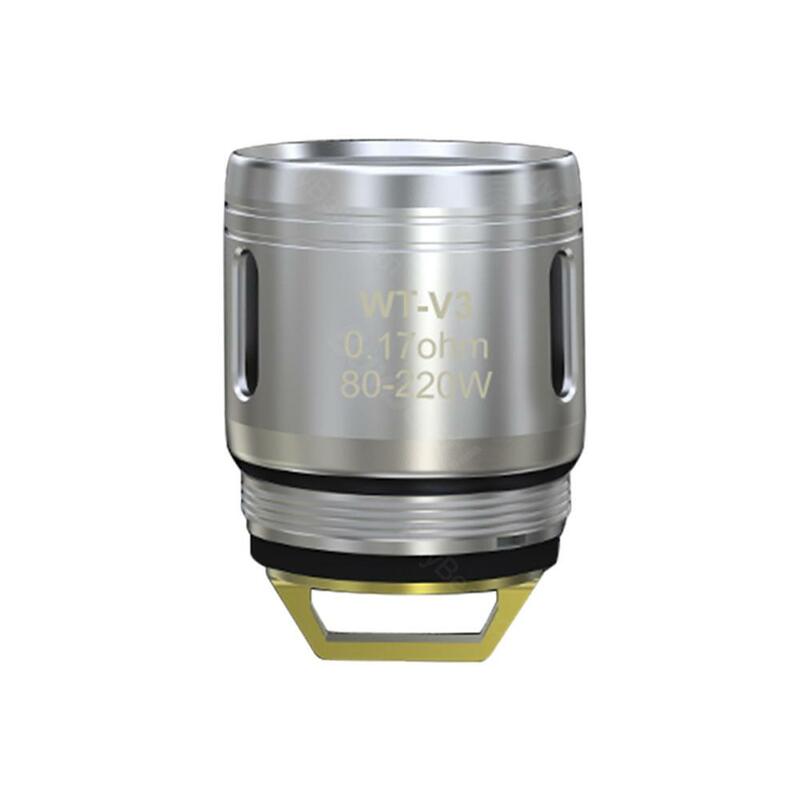 WT-V3 0.17ohm Coil supports 80-220W wattage and is best for 110-130W. WT-H2 0.4ohm Coil supports 30-90W wattage and is best for 50-70W. They will bring you a great vaping experience with optimal flavor and huge cloud. 5pcs each pack. • It is compatible with KAGE Atomizer and ES300 Exo Skeleton Kit. taste product and arrived fast enough, good packing. i would order again. it works great, does not lose immediately, for now I'm using it with the pre-installed f12 coil and it's really good. WISMEC KAGE WT Coil is a 5pcs/pack coil with a 0.4ohm resistance; WT-H2 Wats: 30-90W wattage.